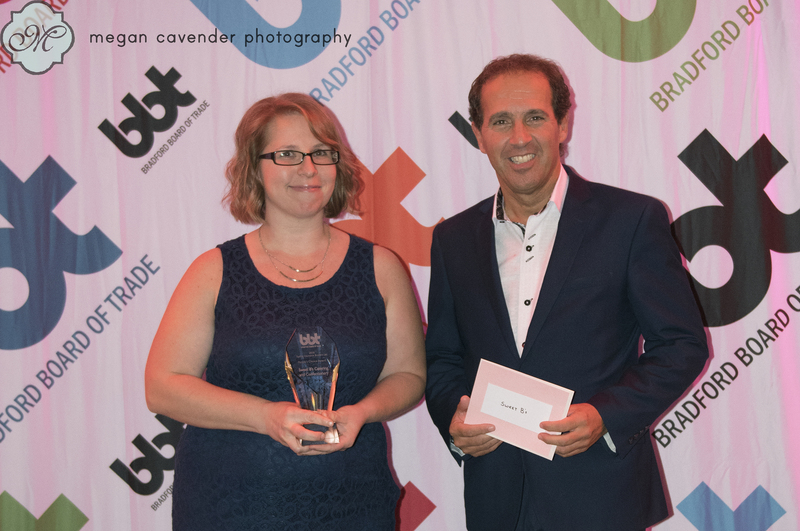 The Bradford Board Of Trade would like to thank everyone who took part in some way, shape or form in our Business Excellence Awards and Gala. Efforts such as these take months of work and preparation. 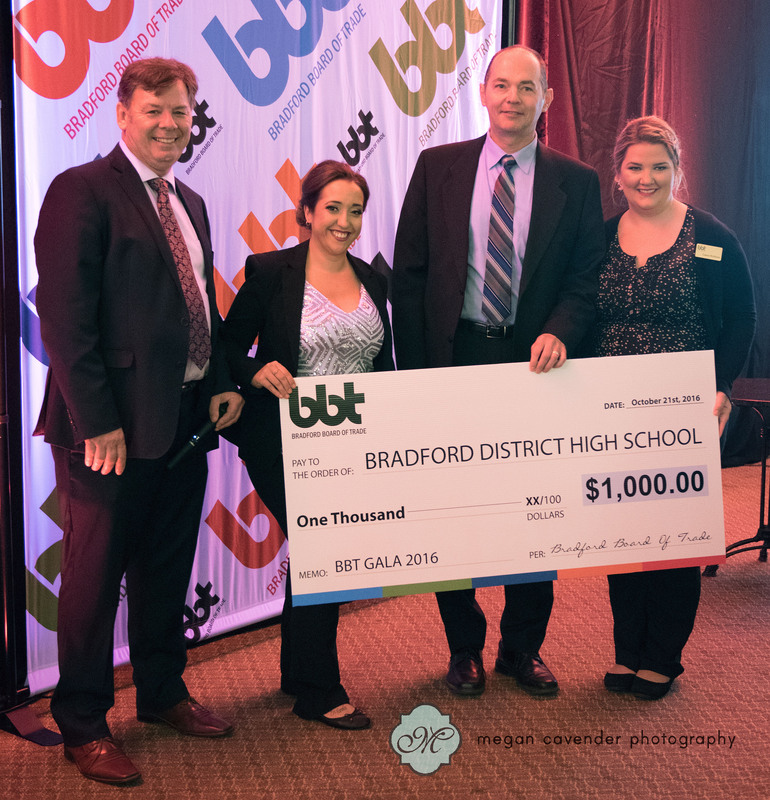 We are very proud of the BWG Business Community and enjoy providing this opportunity for them to be recognized and encouraged. 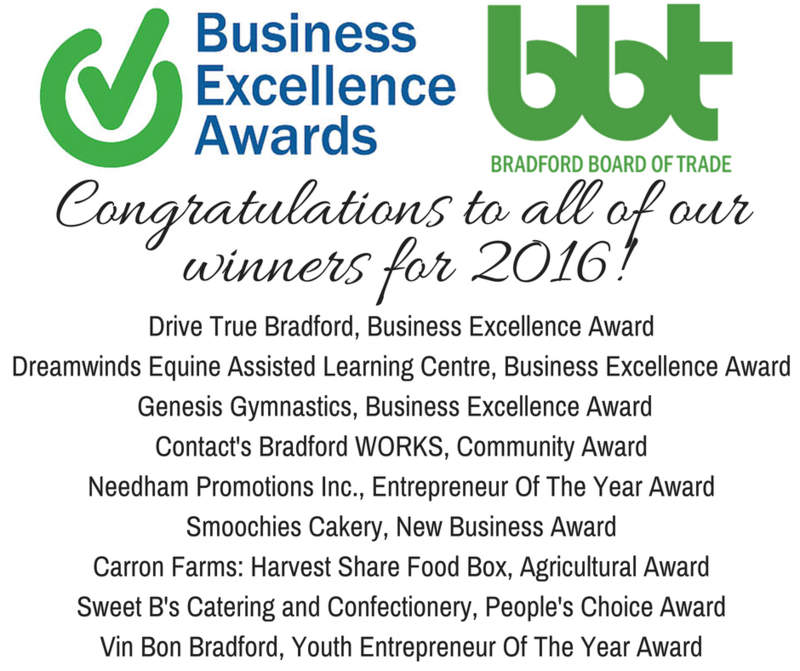 The Business Excellence Award effort begins in April with the opening of our nominations of local businesses. Members of the public are encouraged to nominate their favourite businesses. Both from their routine, regular use and for those businesses that stood out with their incredible service or product offerings. 2016 provided us with a whole host of new records! We received nominations 381 nominations for 116 unique businesses. 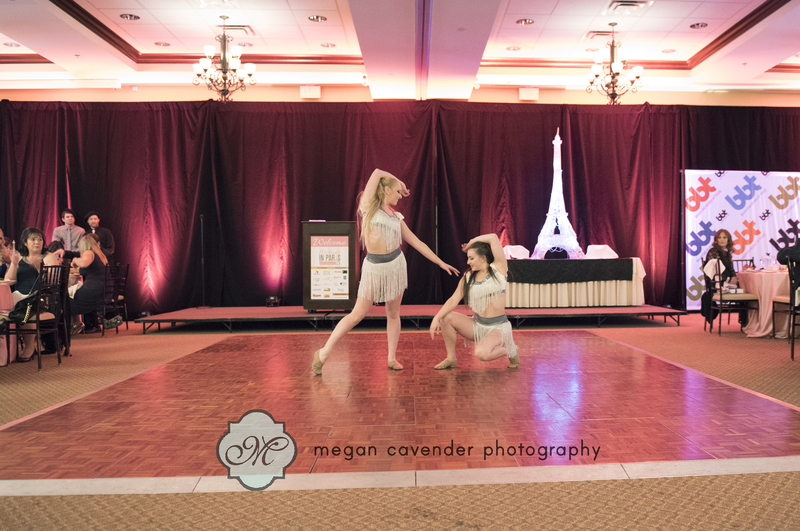 Competition was tough! Once accepted and reviewed for meeting our award rules & regulations, all are forwarded to our esteemed judging panel. Judges are secretly selected from local community and business leaders. Judges names are not released to ensure privacy and the integrity of the process. Judges are not aware of who else is on the panel or what the other judging assignments are. Judges only meet after evaluations are complete at the Judge’s Luncheon. This meeting is to receive their feedback on the process, break any ties should there be any and to approve the winners. With the commitment to providing businesses with 3 reviews each, our panel processed 231 evaluations. We are in their debt for their time, insight and dedication to supporting our business community. In the case of the People’s Choice Award, it is posted to the public. We received a record 5855 votes! 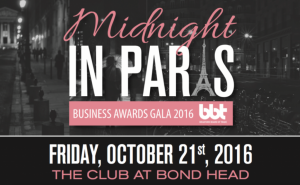 All awards are presented at our annual Business Excellence Awards Gala. 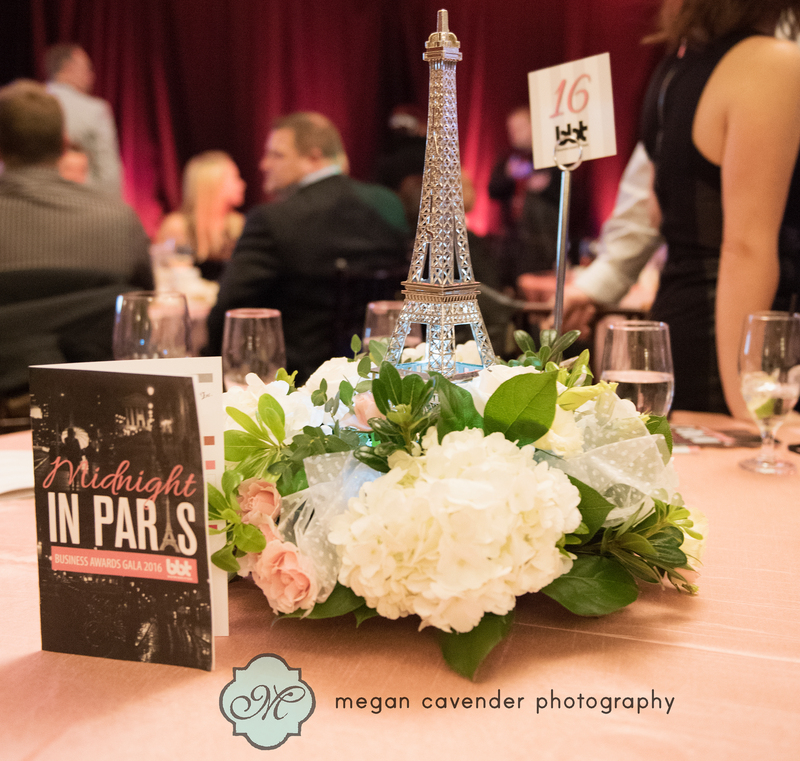 This year’s Gala theme was “Midnight in Paris”. 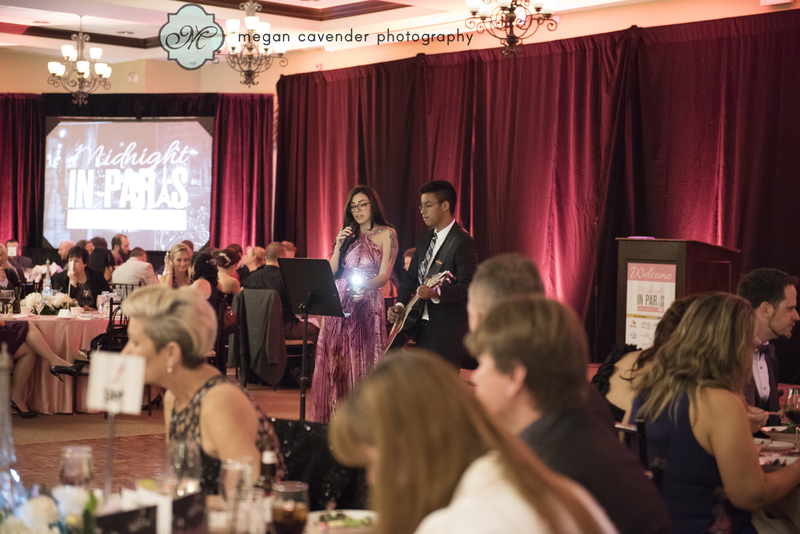 It takes months to arrange an event this large and our Gala committee outdid themselves this year. 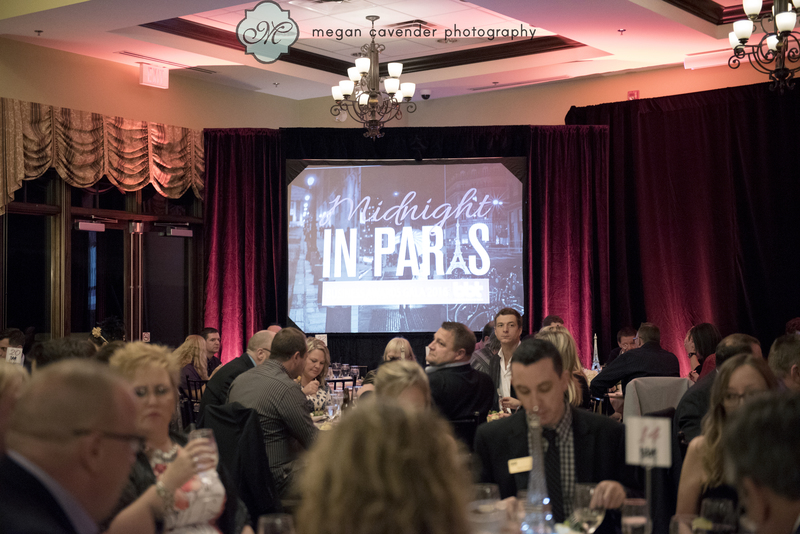 Huge thanks go out to Cheryl Kelly-Guest of Cruise Holidays, Donna Katz of Genesis Gymnastics and Tricia Cresswell of The Neighbourhood Market for their dedication, effort and vision of this incredible night. If you see these ladies around town or attend their businesses, please be sure to mention how much they are appreciated! 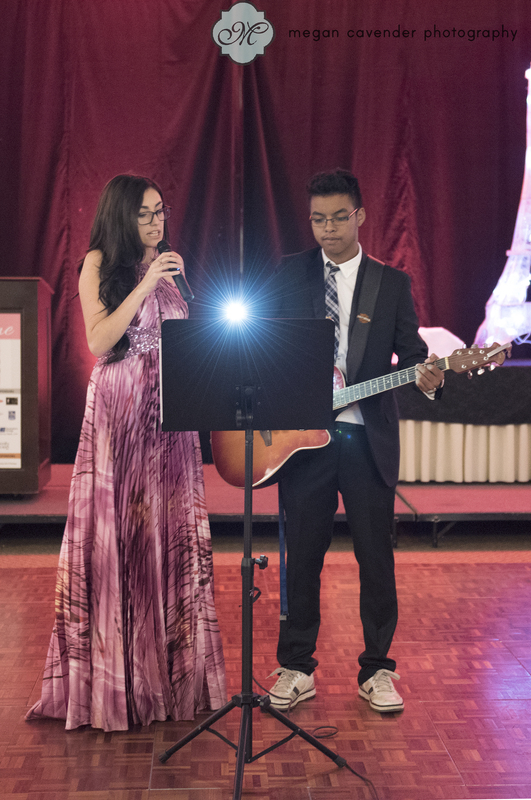 Our Gala could not have happened without their support. Additional thanks to Tina Martins-Morrison of Partner’s Counselling and Laura Slykhuis of Serenity Scapes as our Vice President’s of Events. 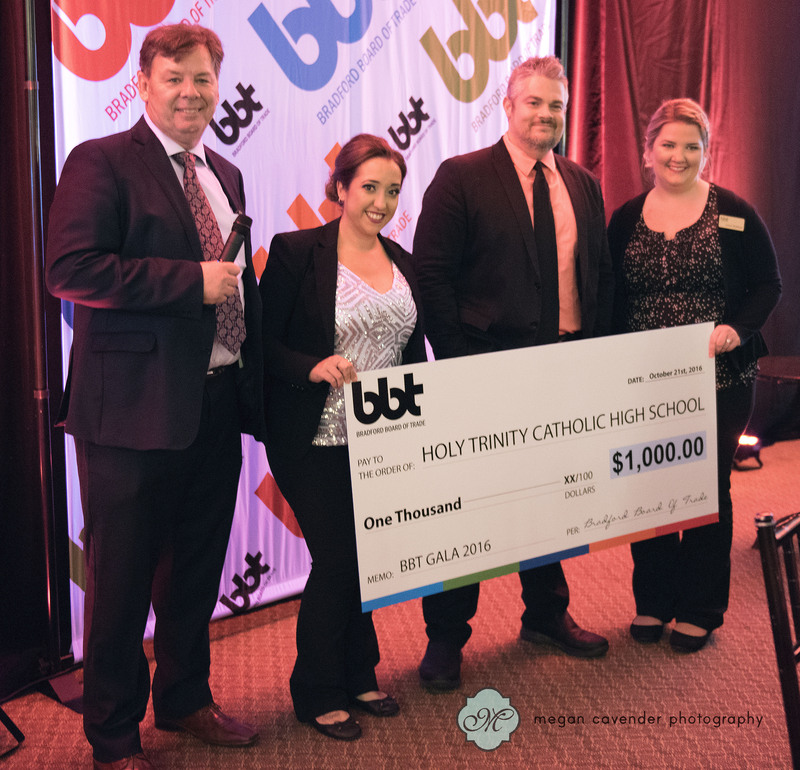 Without them, the events the BBT offers throughout the year would not be possible. 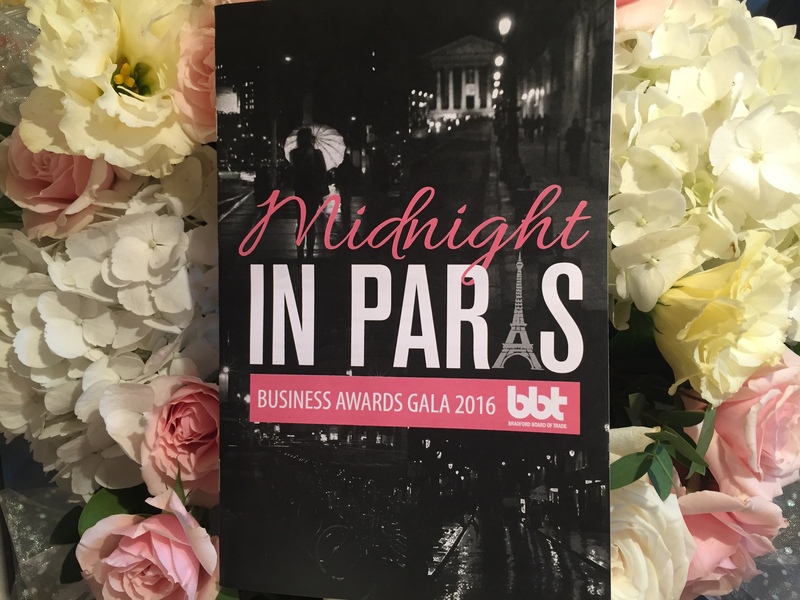 From a Business After Hours meeting to something as large as the Gala, they make it happen for us all. 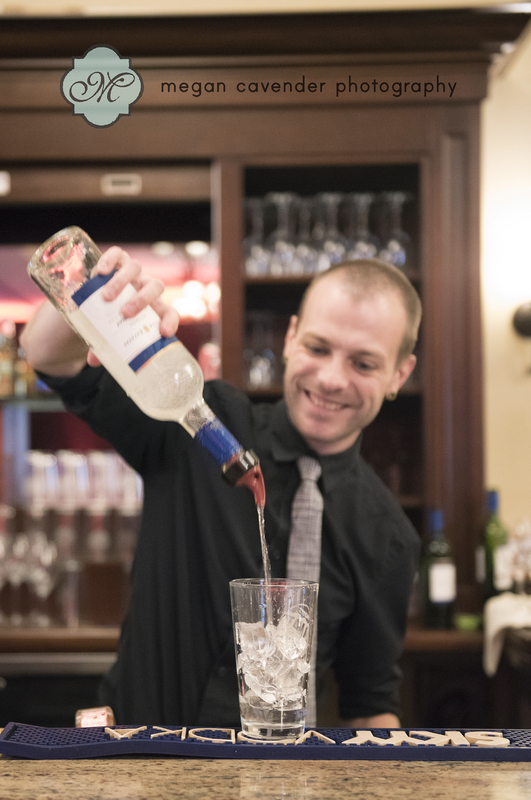 We’re very lucky to have them with us and a part of our team here at the BBT. Lastly, but certainly not least – please join us in thanking our Sponsors. Their support of our event is what makes it possible for us to offer such an incredible event. Their commitment to us back in the Spring let us know what kind of event we could offer. When selecting local services or products, please consider these community leaders and supporters. Please enjoy these photos from the event (more to come)! Gorgeous flowers by Linda’s Floral Designs and our program for the evening, designed and printed by Ad-dictive Design & Promotion. 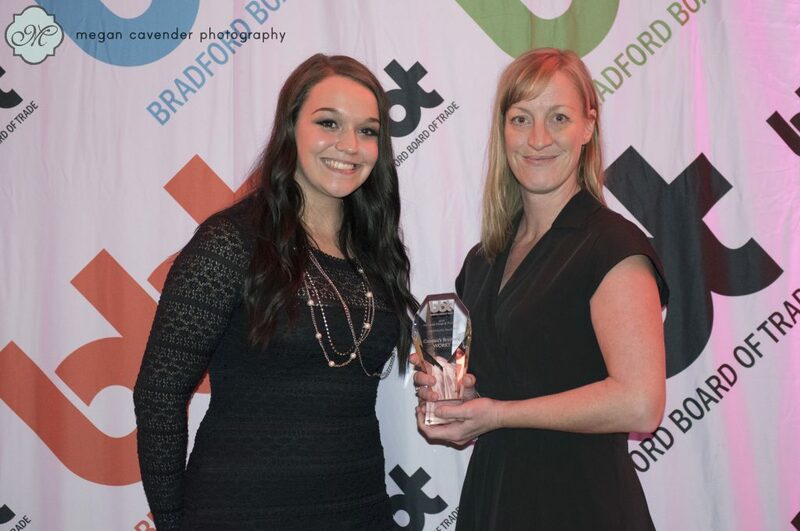 Brittney Elliot of Ad-dictive Designs & Promotion, sponsor of the Community Award 2016, presenting to the winner CONTACT’S Bradford WORKS, Isabelle Lewis. 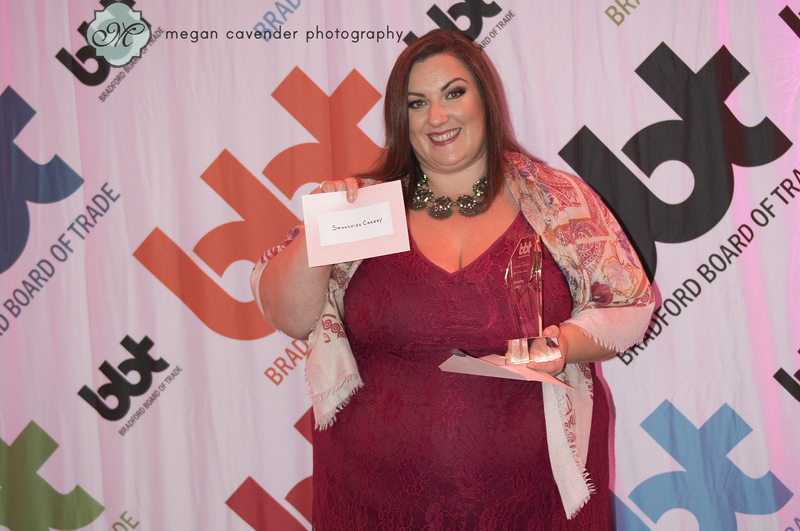 Vin Bon Bradford, sponsor of the Business Excellence Award 2016, accepting on behalf of winners Smoochies Cakery. 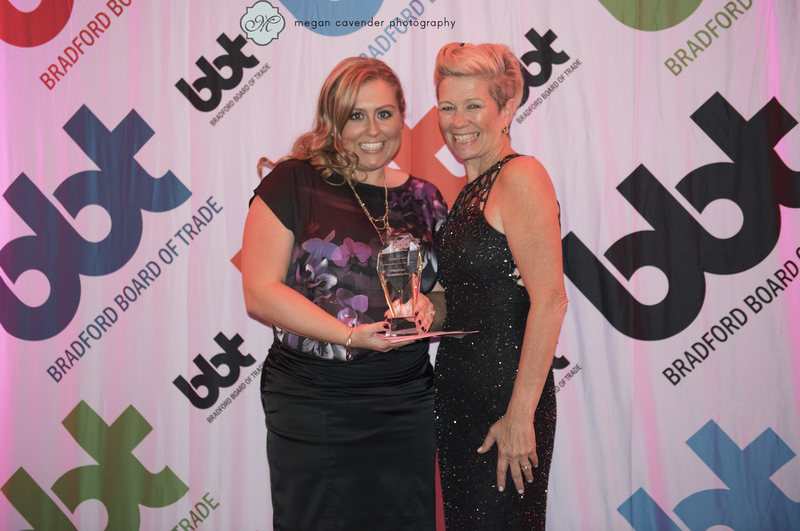 Genesis Gymnastics, Donna Katz, sponsor of the Entrepreneur Of The Year Award 2016, presenting to winner Needham Promotion Inc, Ashleigh Eldridge. 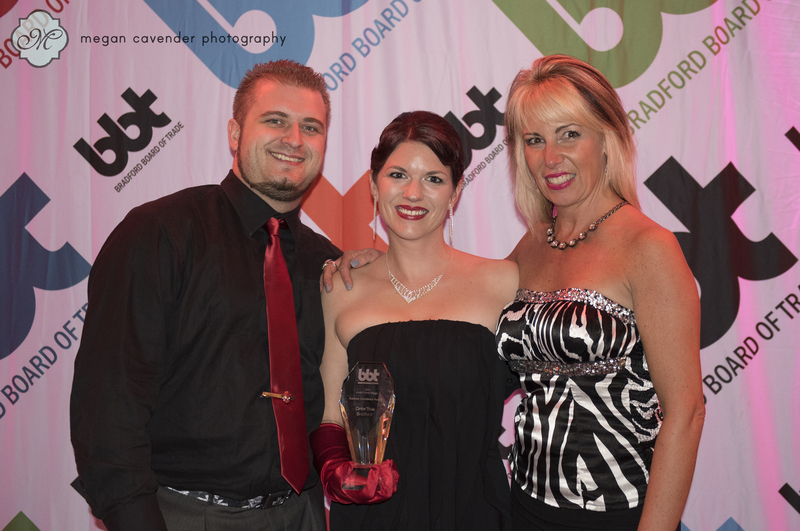 BNI Business Elite, sponsor of the Business Excellence Award 2016, presenting to Genesis Gymnastics, Donna Katz. 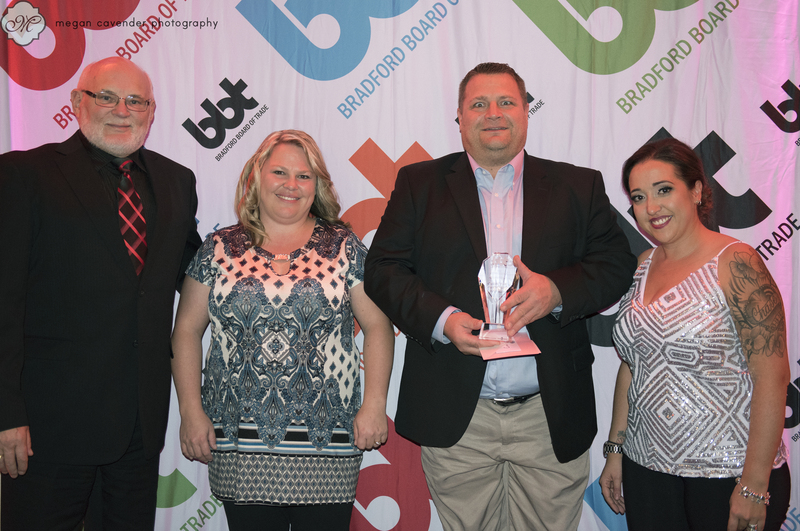 Tricia Cresswell of Linda’s Floral Designs, sponsor of the Business Excellence Award 2016, presenting to winners Drive True Bradford, Tom and Amber Smith. 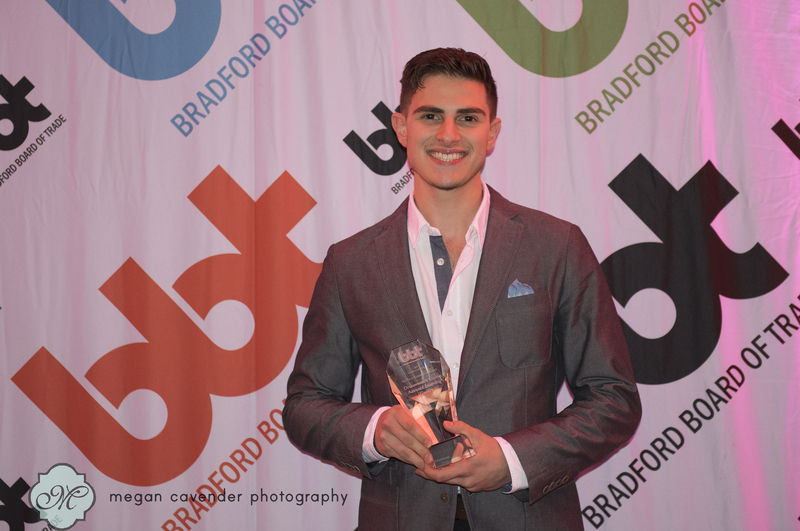 St. Louis Bar & Grill Bradford, sponsors of the Youth Entrepreneur Of The Year Award 2016, presenting to winner Vin Bon Bradford. 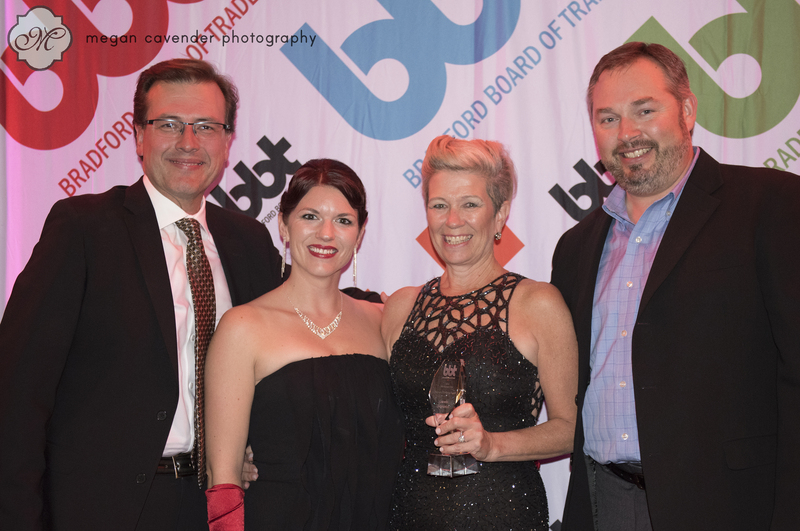 Summerlyn Dendal Care, sponsor of the Business Excellence Award 2016, accepting on behalf of winners Dreamwinds Equine Assisted Learning Centre. Partners Counselling Bradford, sponsors of the Agricultural Award 2016, presenting to winner Carron Farms: Harvest Share Food Box. 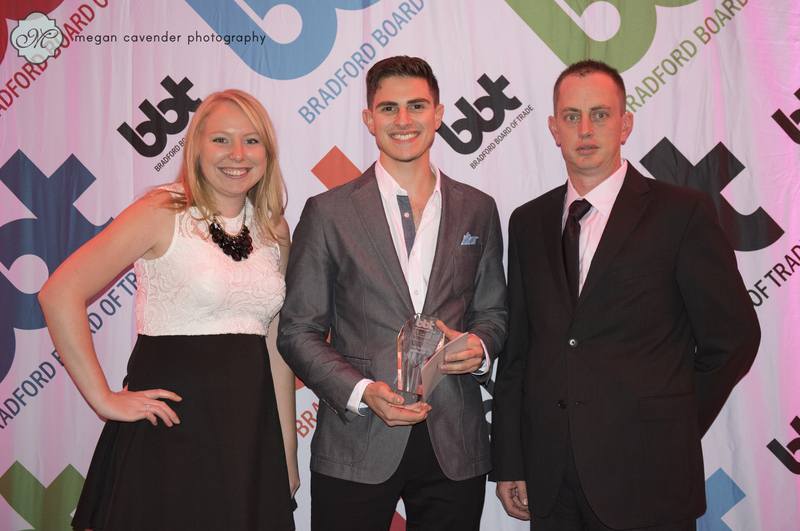 Lewis Stancato of Tupling Insurance, sponsors of the People’s Choice Award 2016, presenting to winner Sweet B’s Catering and Confectionary, Bonnie Aguiar.